An RV fifth wheel hitch also consists of a platform that is situated over the rear axle of the tow vehicle. The business end is the saddle, which accepts the trailer king pin and carries the weight. In the case of a fifth wheel RV, this will be in the range of 15 per cent to 25 per cent at the pin. The latter number will most often be produced by a toy hauler type RV. The most significant difference between this type of hitch and a conventional weight distribution hitch is that the weight is placed on the rear axle/springs without being distributed from back to front by hitch components, i.e. spring bars. This is accomplished by proper installation over the axle or slightly ahead for better handling and stability. There are some advantages to a fifth wheel hitch as compared to a weight distribution hitch, but they are not substantial enough to influence your purchase decision over a conventional travel trailer. In recent years there have been many choices in both design technology and price of each type of hitch. There are several different manufacturers and associated weight capacities of fifth wheel hitches. The most common choice folks will have is the tilting or non-tilting saddle assembly option. The fixed saddle will only move up and down from front to back. The tilting saddle will add a side-to-side movement to assist in hooking and unhooking on mildly uneven ground, and it will also improve handling characteristics. The next options can provide anything from fully automatic sliding mechanisms to an air ride suspension assembly—both of which are more costly—but a full timer would be very beneficial for enhanced towing stability and safer manoeuvering. Fifth wheel weight capacities can range anywhere from 15,000 lbs to 30,000 lbs. Some models have upgrade kits available to increase weight capacity without changing your existing hitch. You should always check the gross vehicle weight rating (GVWR) of the RV you’re about to tow, and confirm that the rating is proper for your tow vehicle and hitch. 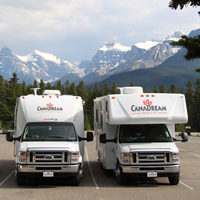 A reasonable rule of thumb is to stay at least 10 per cent over the GVWR of your fifth wheel. With a numerous amount of short box trucks used for towing fifth wheels, the acceptable clearance of 52 inches from the hitch pin to the truck cab will most likely not be obtainable without the hitch being moved back either manually or automatically. You should never tow with the hitch set in the rearmost position, it will affect the handling adversely. Also there should be at least five to six inches of clearance from the top of the box to the underside of the fifth wheel overhang. An issue we see at our shop is customers requesting their hitch to be installed over a plastic box liner. Many manufacturers do not allow this, and will advise the installer to cut the liner where the rails will be located. This can be a problem when removing the hitch for storage, in that the hitch may not clear the liner ridges. Some manufacturers allow rebar to be placed between the hitch rails. In my experience, it is best to install the hitch rails right over the truck bed to ensure a tighter and more secure fit. A spray-in box liner will work great if you require extra protection to your truck bed. The maintenance required for a fifth wheel hitch is minimal, and the key is to keep the moving parts lubricated. The skid plate surface can be greased with an automotive type chassis lube or you can install a nylon lube disc, available at any RV parts department. The use of a white lithium spray lube works well for pivot points. 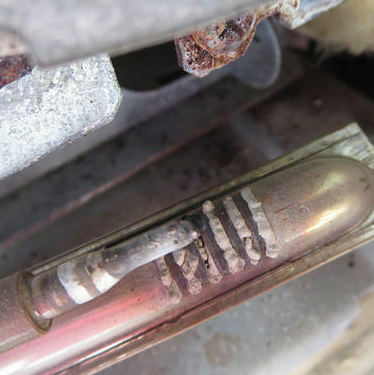 A visual inspection of the handle operation, hitch pins and clips is advised before and after each trip. Every so often a further visual inspection of the underside of the hitch is advised—primarily the frame brackets and mounting hardware—to ensure they are tight and secure. The hitching process of a fifth wheel is very easy and, compared to a weight distribution hitch, a lot faster. Especially since the driver can see the coupling mechanism without trying to line up the hitch to the trailer coupler. It is a good starting procedure to block the trailer wheels in order to ensure the RV will not move backwards when engaging the saddle jaw assembly. You can drop the tailgate if you don’t have an aftermarket fifth wheel tailgate, and raise the trailer until the pin box is just slightly higher than the hitch saddle. Remove the hitch locking pin and open the pin lock jaw assembly to the coupling position. Slowly back the tow vehicle up until the king pin is firmly seated in the coupler slot, which will be acknowledged by a snapping noise. You can then do what the truckers call a tug test to ensure that a complete coupling has occurred. Just raise the jack legs until they are one inch off the ground. Get back in the truck without abrupt acceleration while carefully applying pressure against the front side of the coupler jaws. If everything’s fine, reinstall the safety locking pin at the hitch, retract the landing gear, attach the break-away switch, plug in the trailer cord and raise the tailgate. Test the trailer lights, brakes and brake controller and you’re off to enjoy your next RV adventure.